Renting, In some parts of the world, is frowned upon. For some, becoming a tenant has been considered a waste of money. 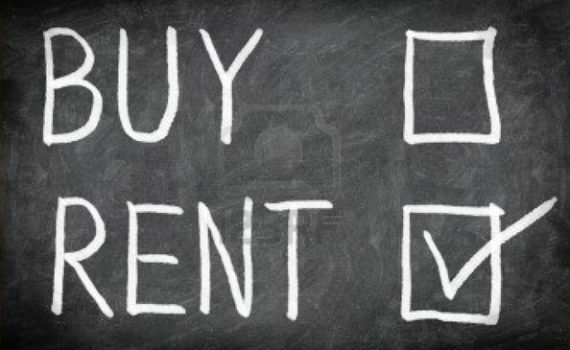 Here in the U.K, however, renting is more convenient than buying a home. A lot of financial experts claim that renting is actually a lot cheaper than buying your own house. And with today’s economy, it may benefit more people than we think. Lucian Cook, Savills’ director of residential research, said the figures showed it was not only the challenge of funding a mortgage deposit that was constraining people’s ability to get on to the housing ladder, but also the extra expense of paying down a capital repayment mortgage over time. “Even though paying off a repayment mortgage adds to your net wealth, it still makes ownership that much more expensive. It affects your monthly outgoings,” he said. On the other hand, Express UK reported that renting can be more worthwhile than buying a home. This is especially true for those who are not planning to settle down and those who are strapped for cash. Dr Isaac Tabner, senior lecturer in finance at Stirling University said prospective homeowners tend to underestimate the financial benefits of becoming a tenant. On average homeowners need to own their own home for up to a decade before returns from the rent they are no longer paying begin to compensate for the buying costs. Dr Tabner said: “It is often thought that buying a house makes more financial sense in the long run: however, renting is frequently more worthwhile than buying for financially-constrained households, as well as households likely to relocate within 10 years.